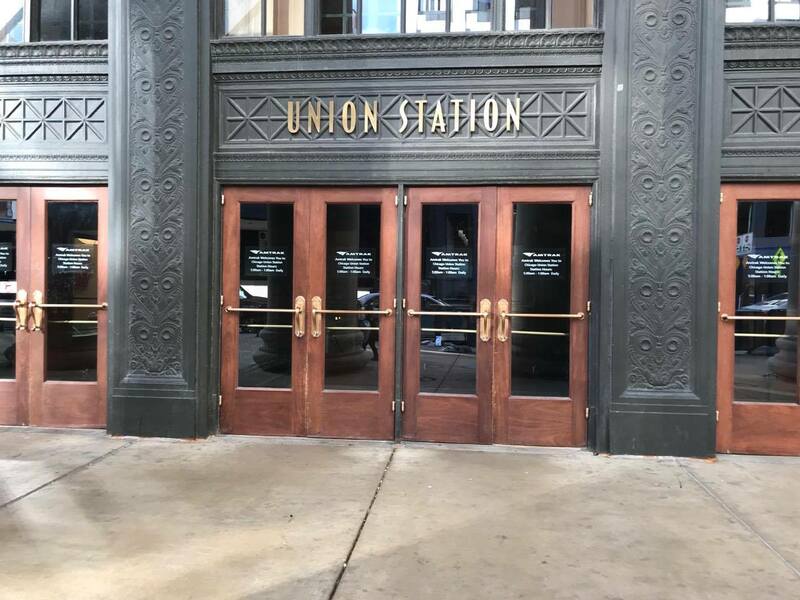 Loyola Campus Transportation said an average of five students use the nightly intercampus shuttle route to Union Station. The program costs $3,000 annually. Loyola’s intercampus shuttle transports scores of students to and from Loyola’s Lake Shore (LSC) and Water Tower (WTC) campuses. But, every night, a handful of students take the shuttle’s lesser-known route to the Union and Ogilvie Metra stations. The intercampus shuttle transports students to the two Metra stations on a once-a-day, one-way route Monday-Friday departing at 9:05 p.m. from the WTC. The ride lasts about 15 minutes and makes stops at Union Station on Canal Street and Ogilvie Station on Madison Street. The route takes the shuttle back to its base on 45th Street, according to Manager of Campus Transportation Gretchen Carey. The university uses six shuttles provided by MV Transportation, and one of them is taken out of the daily rotation for the Metra route. They all go back to the base at the end of the day, according to Carey. Andy Steed of MV Transportation said in an email to The PHOENIX that the company doesn’t have input on deciding the shuttle’s routes. The intercampus shuttles transport an average of nearly 5,000 passengers between the LSC and the WTC daily, according to Carey. Carey said 140 trips are made to and from the LSC and the WTC each day. These shuttles are often packed with students, and not everyone will get a seat. Carey said the shuttle can seat 40 students and carry as many as 60 total. In contrast, the route to the Metra stations transports an average of five people per ride, Carey said. This academic year, the university budgeted about $969,000 to operate the intercampus shuttle service. About $3,000 of that is spent on the route to the Metra stations, according to Assistant Director of Business Operations at Loyola Katie Fitzpatrick. Other universities including Northwestern University, the University of Illinois at Chicago and the University of Chicago use shuttles to transport students. At Loyola, some students experienced problems because mechanical issues caused delays between the LSC and the WTC, The PHOENIX previously reported. The PHOENIX joined passengers on a few shuttle rides to the Metra stations and spoke to some who use the route. Many are nontraditional students such as students in graduate or certificate programs. Laura Ammigan, studying for her master’s in business administration, said she thinks the shuttle is a convenient route for night students to get home. Ammigan, 31, said she has to commute an hour to get to her home in Naperville after getting off the shuttle. “I work downtown so after working and going to class the last thing I want to do is have to think [about] going to the Red Line,” Ammigan said. Alla Salah, a 30-year-old graduate student in software engineering, said he thinks more students would take advantage of the additional route if they knew it existed. Carey said Campus Transportation shares information about the Metra route at orientation fairs and online. “It’s put out there with the same information as the rest of the shuttle information is so it’s not like anything that’s hidden from the students,” Carey said. Junior entrepreneurship major Alyssa Maly said she knew about the Metra route, but said she thinks the money should be used toward other Campus Transportation services such as 8-RIDE. Carey said the university will be getting new 8-RIDE vans next year. Senior theater major Nathan Kubik said he didn’t know about the extra shuttle route, but thinks it would be useful when students go home for breaks. Kubik said he thinks more awareness of the route would lead to more riders. “If it was more advocated for [and] more people knew about it, I think it would be worth it,” the 21-year-old said. Carey said she thinks having the extra route is worth it because students with night classes will get to the train stations safely.